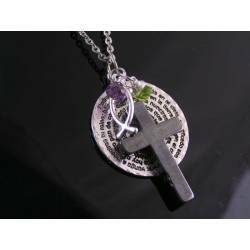 Religious Jewelry There are 26 products. 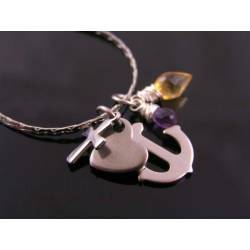 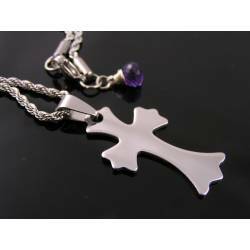 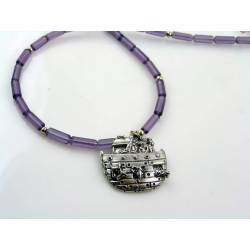 Available for customisation is this ornate stainless steel cross with February birthstone amethyst. 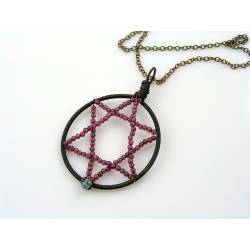 A very unusual star of david pendant, completely wire wrapped. 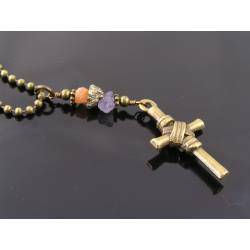 A classic cross necklace with rough gemstone nuggets. 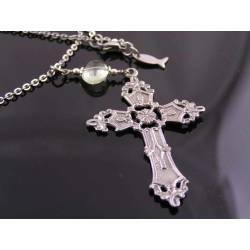 Wonderfully elegant and classic cross with personalised necklace. 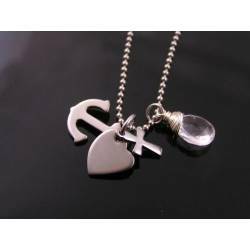 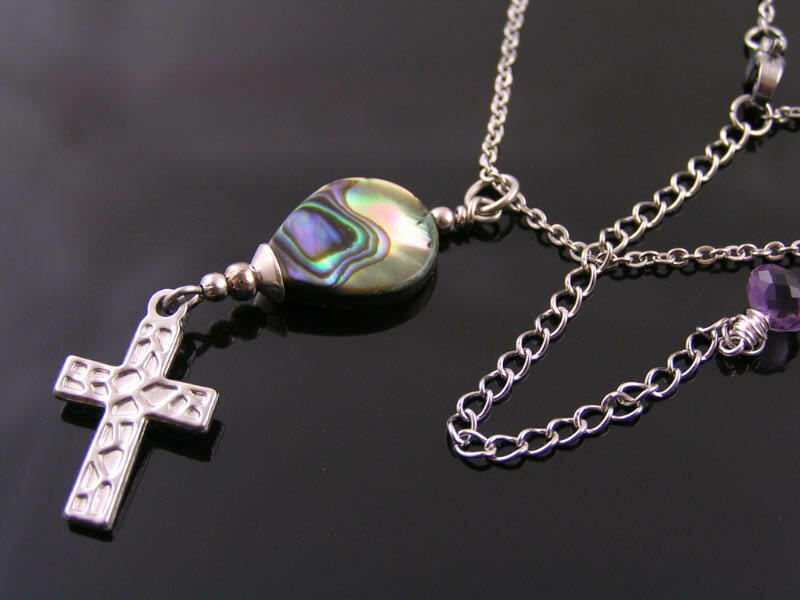 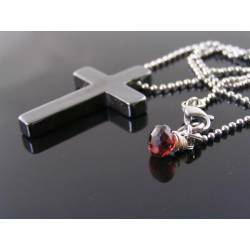 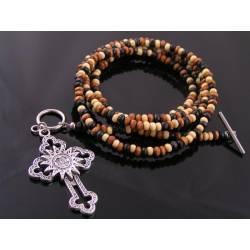 Classic and uncluttered, polished hematite cross on slim line stainless steel necklace. 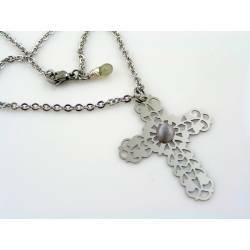 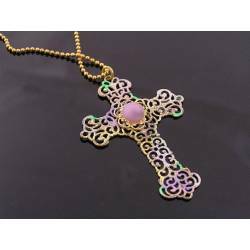 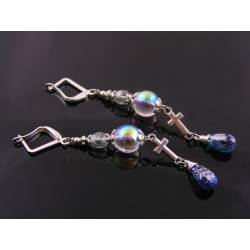 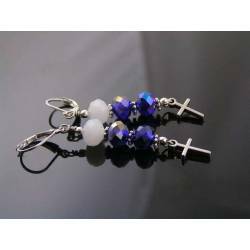 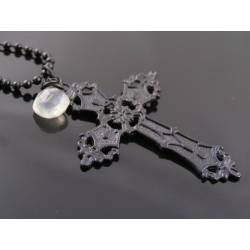 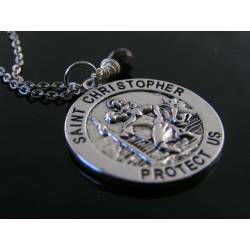 A lovely light weight and ornate cross together with your birthstone or the suggested blue sapphire. 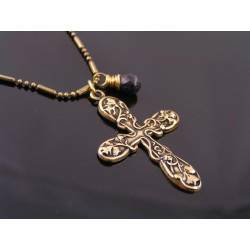 Hand cast in Australia: cross pendant with ivy leaved and vines. 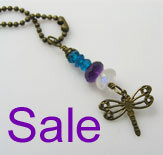 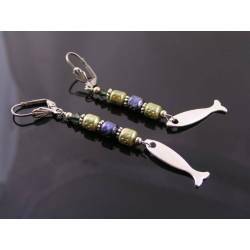 Available with your birthstone of choice.